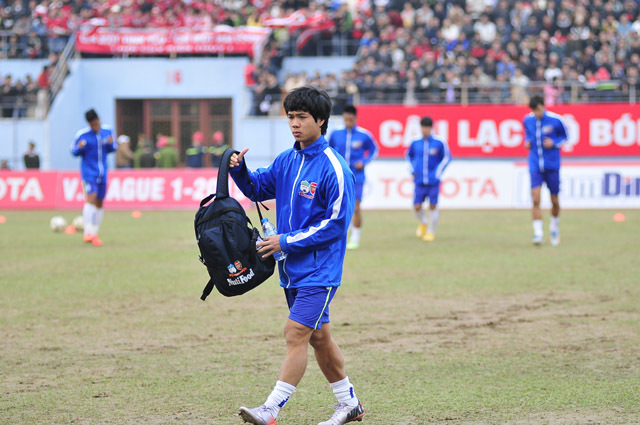 HA NOI (VNS) — Four Vietnamese footballers will soon play at the Japanese's J.League 2. The quartet – Nguyen Cong Phuong, Nguyen Tuan Anh and Nguyen Phong Hong Duy of V.League 1 side Hoang Anh Gia Lai, and Bui Tien Dung of V.League 2 squad Viettel – are to wear Mito Hollyhock FC jerseys. The Japanese club is now ranked No 18 of 22 teams after the 33rd round. The Vietnamese players are expecting a push for the team during the remainder of their tournament.